Wire Rope Hoist are used for lifting and hauling loads in general hoisting operation such as mining, construction, industrial lifting and domestic applications. 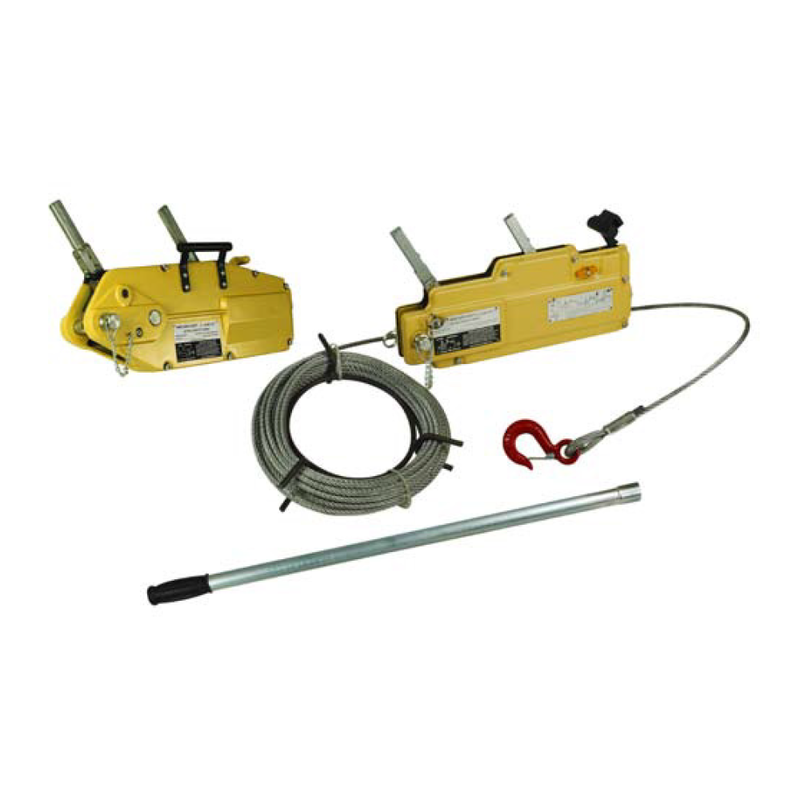 Wire Rope Hoist is also ideally used for 4WD off road recovery. • Compact lightweight and robust in construction. • Recommended for portable applications. • Able to be operated at any angle for ease to handling. • Hoists come with Wire Rope longer lengths available. • Hoists are individually proof tested and serial numbered. • All hoists have spare shear pins in handle. • Conforms to AS1418.2 with instruction manual. • Parts available upon request.